In celebration of our youngest readers going back to school, the Guilderland Public Library is declaring September as Fine-Forgiveness Month for all Guilderland Juvenile material. That means books, CDs, DVDs, ANYTHING labeled “J” for juvenile. So, if you borrowed some juvenile material some time ago, and the due date is long past, no worries! Just bring it to the library and turn it in. And consider donating the amount of your fine to the Guilderland Food Pantry collection box, right there on our Check-Out Desk. All donations go to the food pantry. As you know, the pantry provides food to people of the town of Guilderland who are in need. Families who are eligible receive food every four weeks. The pantry provides three holiday meals — Thanksgiving, Christmas, and Easter — for families in need. This Fine Forgiveness effort is a great way to turn what could have been a late fine into a food-giving gift. Can YOU read 500 books before you start middle school? (We’re sure you can!) Anyone in kindergarten through 5th grade can sign up for this brand-new challenge. 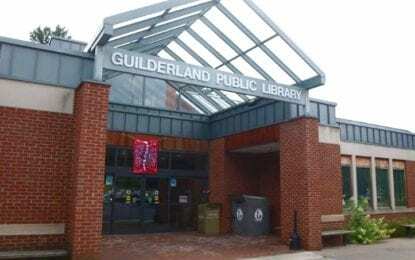 Just register online at www.guilderlandlibrary.beanstack.org, and then come to the library to pick up your personal “500 Books” folder at the Youth Desk. What can you read? Anything you like, even books you listen to! Just log your books online or on paper, and you’ll earn cool prizes for every 50 books you read. Your folder gives you lists of suggested reading, everything from “Read through New York” and “Imagining the Past,” to “Readers Go Batty” and “Seasons Readings.” So go online right now and register at guilderlandlibrary.beanstack.org. Not only will you read a lot of great stories, you’ll also win prizes for each level you reach. Happy Reading! In order to serve you better, we are changing our operating hours. 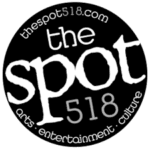 Starting Tuesday, Sept. 4, we will open at 9:30 a.m. on weekdays and Saturdays, and close Fridays at 7 p.m. The Library will be closed Saturday Sept. 1, Sunday Sept. 2, and Monday Sept. 3, opening at 9:30 a.m. on Tuesday Sept. 4.